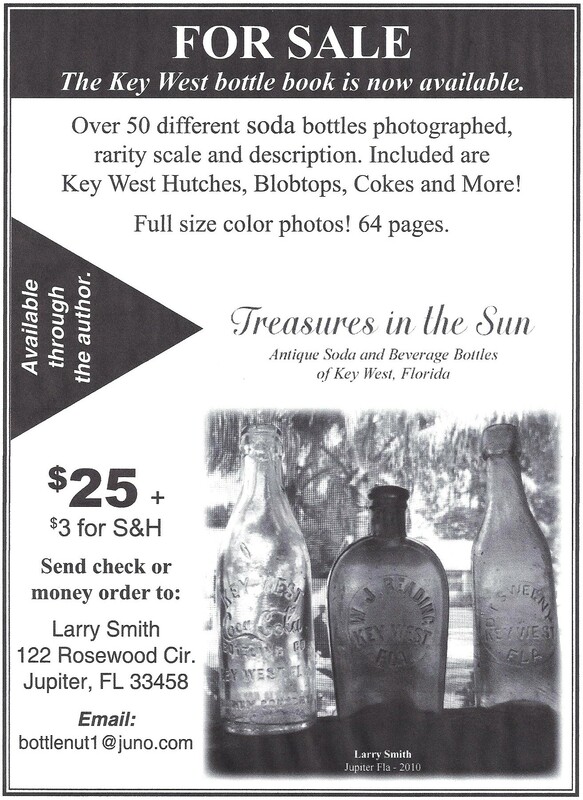 If you like collecting Key West soda bottles, this book might be just for you! The book is full-size 8.5" x 11" with large color photos. 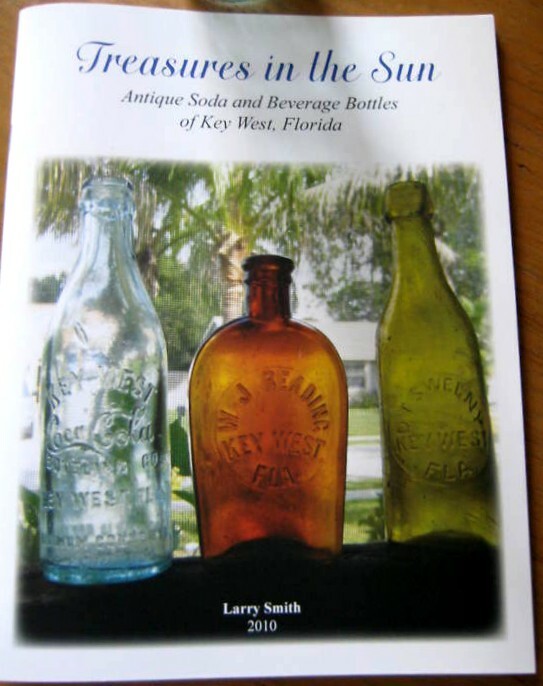 Covers all Key West embossed antique beverage bottles from the early 1870s to the 1930s. Included are Hutchinsons, crown tops, Cokes and early blob tops. Author will sign books upon request. 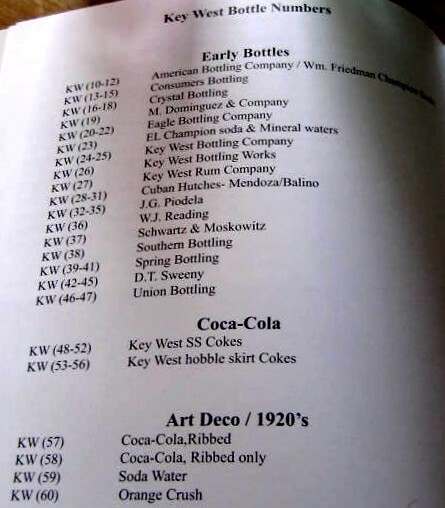 All bottles are assigned a Key West mold number, color and rarity. 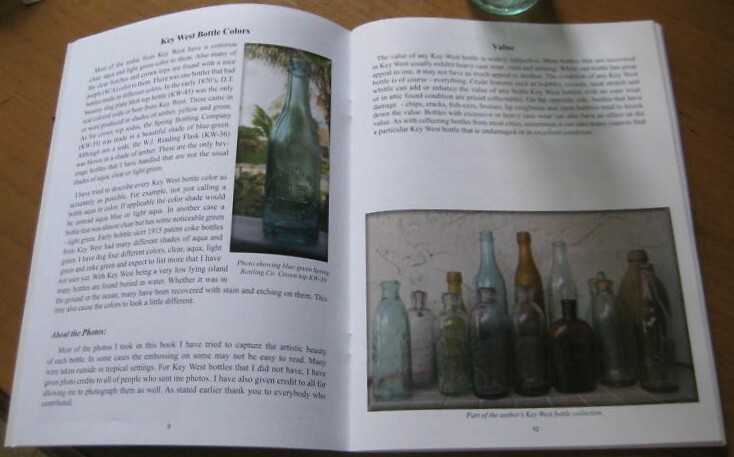 Book does not cover pyroglaze sodas or Key West medicines. 64 pages. $25.00 Buy-It-Now. $3.00 covers media rate S&H. Shipping to lower 48 states only. Thanks to all dealers who have bought the book and support the hobby.